A South Shore bank once slated for demolition is now possibly in line to be listed on the National Register of Historic Places. The former Stony Island Trust & Savings Bank is among three buildings the city landmarks commission last week recommended for National Register of Historic Places consideration. The recommendation will be sent to the Illinois Historic Sites Advisory Council which will decide this month whether the bank meets National Register criteria. The U.S. Park Service&apos;s Keeper of the National Register has final approval. The landmarks commission approved its recommendation at a regular meeting last Thursday. The recommendation is one of two good turns as of late for the vacant 90-year-old neo-classical building, 6760 S. Stony Island Ave. Last year, the acclaimed artist Theaster Gates obtained the bank from the city. Gates wants to rehab the building into a home for small, arts-based not-for-profits. He also wants the facility to house 18,000-book library donated by Linda Johnson Rice, daughter of Ebony magazine founder John H. Johnson. Vacant since the early 1980s, the building was later acquired by the city and had been under threat of demolition in recent years. Built in 1923, the bank was designed by William Gibbons Uffendell, whose work includes the magnificent flat-iron shaped former Marshfield Trust & Savings, 3325 N. Lincoln. The granite and terra cotta South Side building is among the best-looking structures on Stony Island, even in its faded condition. The front, with its fluted Doric columns and pediment, resembles a temple—as was often the case in pre-Depression era bank architecture. The bank was prosperous for its first years, then the Great Depression struck. 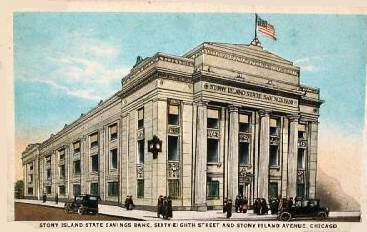 The bank closed in 1931 and reopened in 1946 as Southmoor State Bank. Southmoor folded in 1960 and the building would spend the next 20 years as Guaranty Bank & Trust. The Nation of Islam bought Guaranty in 1973 and kept the bank until about 1980. It&apos;s been vacant since. If approved, the National Register listing would honor the building as an intact example of neo-classical design in early 20th century banking architecture—and for being one of the few remaining examples of architecture that reflected Stony Island&apos;s early days as a commercial center. The north end of Stony Island near the bank was a bustling thoroughfare with hotels, theater and more before disinvestment and middle-class flight took most of it away beginning in the 1960s. The National Register listing could bring federal tax credits that can be used—or sold—to offset the renovation costs of the building. The structure is not official and protected Chicago landmark. 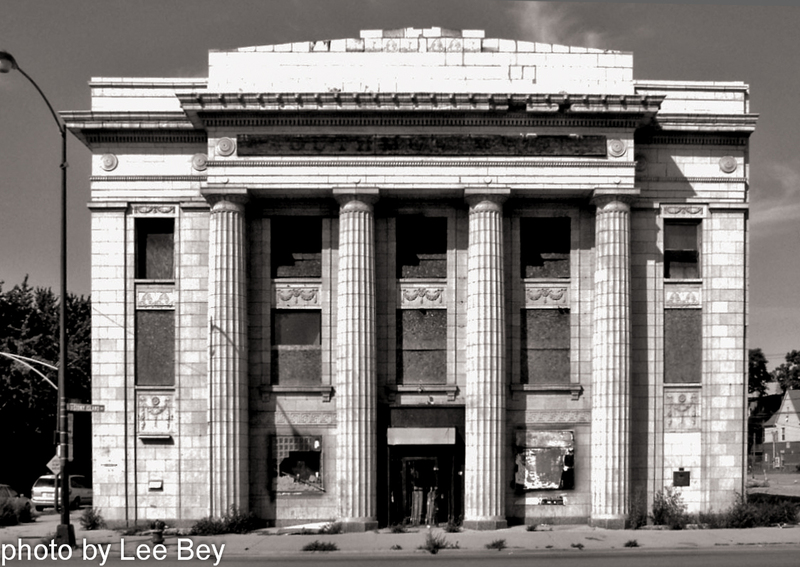 The National Register listing doesn&apos;t protect the building from demolition. In addition to Stony Island Bank, the Commission on Chicago Landmarks also recommended the Illinois Historic Sites Advisory Council seek National Register status for the Bush Temple of Music, located at Clark & Chicago; and the former Pugh Terminal Warehouse—best known as North Pier—401 E. Illinois. The Illinois Historic Sites Advisory Council meets Oct 25.